In August 2012, my wife Caitlin and I launched a business: C&P Music Education. We apply a flexible approach to teaching in order to help students understand how music works while learning to play their chosen instrument. Caitlin works with students on violin or piano and I teach guitar and electric bass. While we are both experienced and passionate music instructors, we knew that owning a startup would be complicated and bring its own set of challenges. We needed an accounting solution to make it simple to send invoices and receive payments. We researched and selected a vendor based on their top-notch customer support and ease of use. 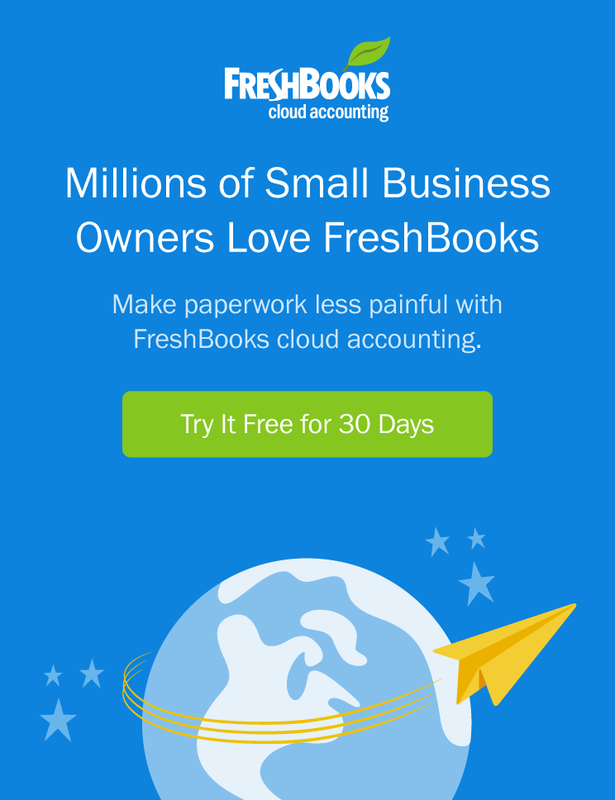 As a result, we were able to build, manage and operate our business with help from FreshBook’s excellent cloud-based accounting software. Why Does Outstanding Customer Service Matter? A superior support center is key to helping small businesses navigate the operational complexity of a startup. Starting a company can be an isolating experience, and there were times when I wondered if I was the only one crazy enough to start a new business while trying to balance a full-time job and still being a worthy father and husband. For the past five years, I have worked full-time at the help desk at the University of Notre Dame. My years of customer service and IT experience have molded my expectations of a support center. I knew I wanted to work with a company that would always be there when I needed them, and one that valued me as customer by listening to my feedback and insights. This led me to FreshBooks. When we first started the business, I used an Excel spreadsheet and made it look like an invoice. I quickly realized that method wouldn’t scale as we grew, and when we decided to make the switch from my manual process to the accounting software, it completely removed the headache of figuring out how to send invoices and keep track of our money. Furthermore, each time I contact their support center, I’m impressed with their immediate response and the fact that the first person I talk to is actually able to help resolve my issue. I receive the support I need when I need it, every single time. As a musician, collaboration is at the core of my profession, and it’s always refreshing to communicate with folks working through the same issues and to interact with industry experts who have my best interest at heart. That’s why I recommend selecting an accounting software that offers an active and engaging community. For example, I found FreshBooks’ invite-only customer advocate community to be friendly, collaborative, customer-centered, and fun. They have all of the ingredients I was looking for when building our business from scratch. 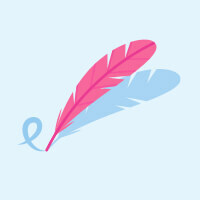 I’ve earned points and fun swag by completing challenges, such as sharing stories or providing feedback. I truly feel like I am a valued partner of FreshBooks, not just another customer. Email customization: I can customize every email for each type of communication, such as invoices and payment notification. As a result, we are able to easily send professional, automated emails to our clients that still retain our voice and reflect the culture of our business. Online payment: We recently enabled online payment for all of our invoices. Now, all of our customers can pay online when they receive the invoice rather than bringing a check. Many of our customers take advantage of this feature and it has removed one more headache from daily operations. Reporting: Our business is simply structured. There is not much overhead other than office supplies and buying books that we rebill to our customers. A simple profit and loss report lets me quickly assess the heath of the business, and it’s nice to know that many other reports are pre-made and easy to run. As C&P Music Education continues to grow, our accounting software grows with us. We currently have 32 students and continue to expand. I have transitioned from working full-time at the help desk to part-time and the rest of our income now comes from our business, which supports myself, my wife and three children under the age of five. Thanks to FreshBooks’ full-service software and support, I am able to focus on my students, my family and running a better business. Owner, C&P Music Education Peter Metzger and his wife Caitlin are lifelong musicians who have turned their passion into a full-time career. Their company, C&P Music Education, helps children understand how music really works as they learn to play violin, piano, guitar or electric bass. 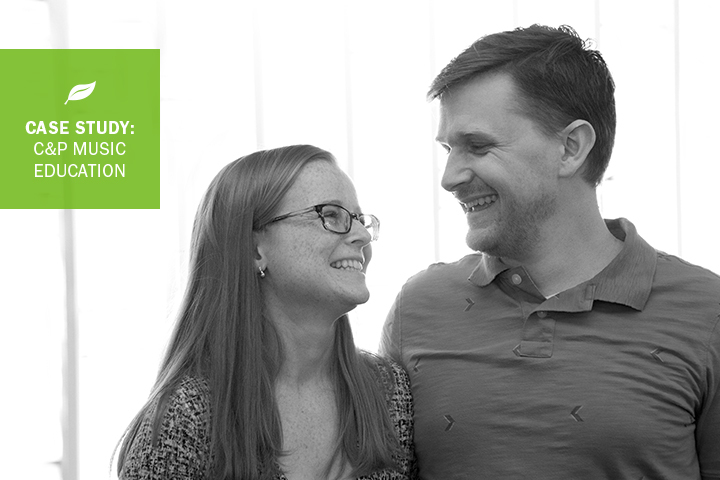 Peter and Caitlin use FreshBooks to help run and grow their business.